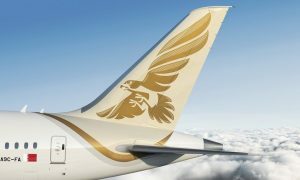 Etihad Cargo, the freight division of the national carrier Etihad Airways, has expanded its Middle East network to Kuwait by adding an additional freighter and introduced a new twice weekly service into Muscat in Oman. The twice weekly A330 freighter service to Kuwait and the new operations on an A330 freighter to Muscat have commenced and are now available to customers. 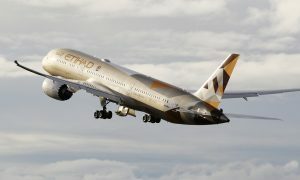 From its hub at Abu Dhabi International Airport, Etihad Cargo offers its customers a range of cargo services linked to its expanding international route network and aircraft fleet. A series of specialised products are available to operators including; ‘Sky Stables’, ‘TempCheck’, ‘Safeguard’ and ‘FastTrack’ which offer dedicated teams involved in the movement of horses, pharmaceuticals, valuables and priority handling. Partnerships with other freighter operators including DHL, Atlas Air and Avianca, provide strong support to the main operation, and the division is continuing to explore opportunities for co-operation with like-minded cargo operators. 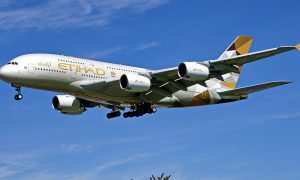 Over the last year, the cargo division has been expanding into South America, Africa and Asia and with two new freighters being added to the fleet this year; Etihad Cargo will be enhancing capacity and increasing frequency in key markets across the scheduled network.